This recipe for Babotie comes from my Curry cook book. 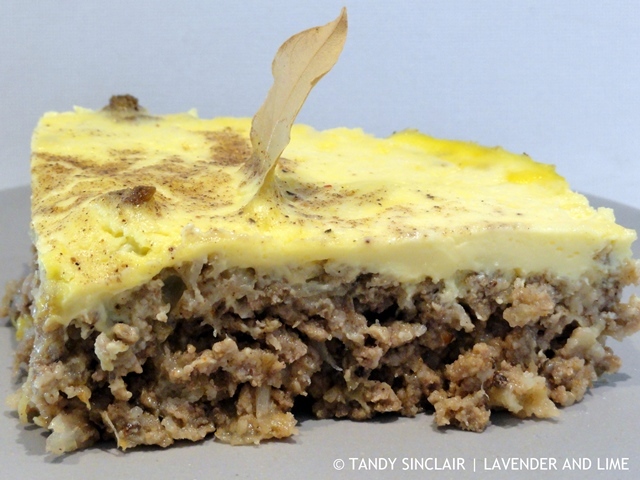 Babotie is a spiced minced meat baked with a savoury custard. According to the book, it was brought to South Africa by Southeast Asian slaves in the 17th Century. Babotie is a tribute to Cape Malay cooking styles and Islamic culinary influences. Boer settlers would bake their babotie in a hollowed out pumpkin. 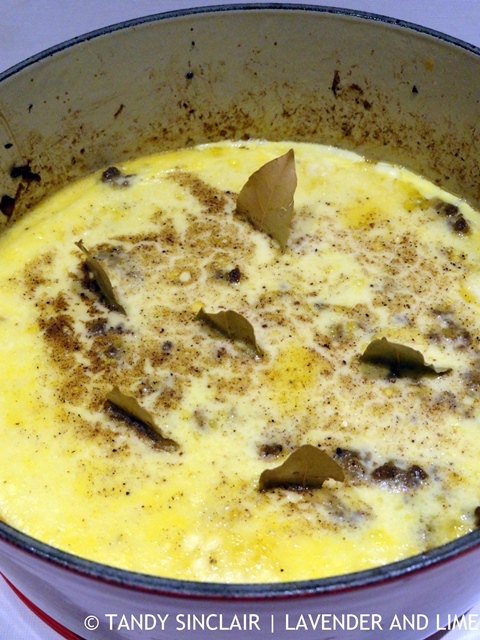 You can add sultanas, raisins or dried apricots to this babotie recipe to give it your own unique twist. Made this tonight and was very impressed, reckon it would be great as leftovers on toast too. Really good wintry, comfort food! Thanks for sharing. Living in another country, I am often asked about South-African food. Babotie is so South African! I agree – a nice curry bite is essential for a good bobotie. Also love the dried fruit in it – raisins or apricots. Works with that whole sweet & sour effect. I cannot do cooked, soft, dried fruit for some reason so I leave it out. I’m having Scottish people for supper soon, maybe I’ll make this for them.